The Love Choice system implemented by Voltage Inc for their newest book Masquerade Kiss, officially released a few hours ago on Love 365 from the Japanese app, has generated a social media war for quite a while now and it definitely won’t cool down anytime soon. The fans who always supported their work because of the rare Pay to Play system are strongly against a “Freemium” mode which will actually force them to pay way more than what a normal, complete story would cost with coins. What is going to happen now? Note: This article reflects my personal opinion about Love Choice, Freemium stuff in general and the whole situation with Masquerade Kiss. If you want to support this format on Love 365 and disagree with my point of view, that’s completely fine and I respect your own opinion. Also, if you think the informations I collected are not entirely right, by all means feel free to let me know in a comment below! 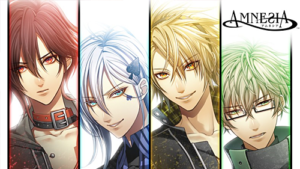 Voltage Inc. is a Japanese leading developer of interactive visual novels, commonly known as Otome Romance Apps, for iOS and Android devices. They also have a San Francisco based subsidiary, Voltage Entertainment USA, enstablished in 2012. Originated in 1999, the company began to reach the English-speaking audience as well in 2011 with the translated version of their already released games, available in the Apple Store and on Google Play. Voltage has created a lot of successfull novels such as Scandal in The Spotlight, Kissed by the Baddest Bidder, Enchanted in the Moonlight and Liars!. The majority of these stories have been recently transferred from their standalone apps to the Love 365 platform. Now, what is this Love Choice controversy and why are Voltage fans expressing so much anger and disappointment on Facebook, Twitter and Tumblr? Otome apps usually have one thing in common; the freemium play system. You can download the apps and enjoy the uploaded stories without paying a cent, but you are very limited in terms of readability and content at your disposal. You only have a few tickets to consume daily for each chapter and should you want to continue without waiting for them to recharge (some apps force you to wait 24 hours for them to restore) you have to buy them indefinitely without actually keeping the story for yourself in the end, nor being able to re-read a chapter again unless you start over once the story is finished (paying for it again). If that weren’t enough, in order to select specific choices or see different outcomes you also have to buy items like hearts or scenarios, extras that will inevitably pile up in a considerable amount of money to still leave you with nothing at hand. What made Love 365 so unique and different from any other app on the market, is the newly implemented P2P system. A full story with ALL the available chapters and both endings included will cost you around $4 (depending on your currency. My app displays the prices in € and they are slightly higher) in exchange for 400 coins. Special stories usually require 200 or 300 coins and rare novels 800 coins in total. You never spend more than $9 for a full book on the app, anyway. 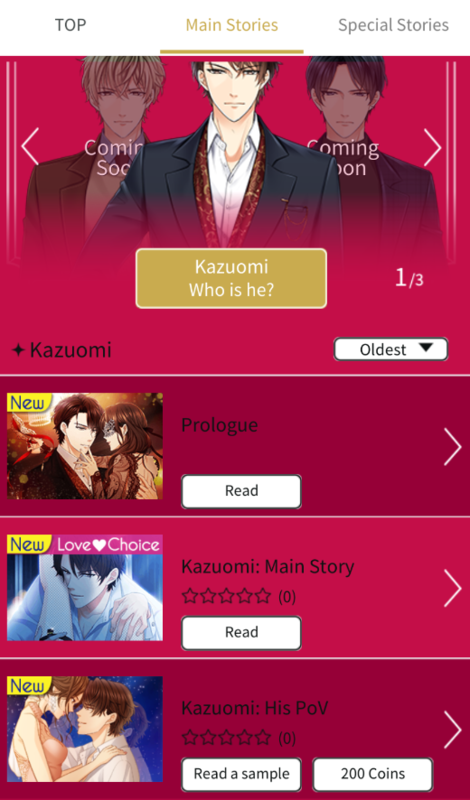 Some time ago, Voltage has introduced a test version of the Love Choice option on Love 365, explaining you would be allowed to read side stories without buying them, but using hearts for special choices and to get rid of the waiting times between chapters. Voltage’s fans expressed a clear disagreement, voting against the idea in a survey the company released especially about Love Choice. They reassured the readers afterward with a public post on social media, stating that Love 365 will remain Pay to Play. Only a small selection of shorter side stories are available as LC only, but as long as that wouldn’t affect the main routes nobody really felt threatened by it. That promise apparently proved to be a big fat lie when they announced Masquerade Kiss, the most awaited addition from the Japanese version of the app. While any other main story is available for instant purchase including all content without additional costs (unless you want to unlock the special ending set), this new title will be Love Choice based. Meaning you can start reading it for free without using your coins, but cannot select the best scenarios without the required hearts, nor keep the book to yourself once you’ve finished reading it. This contradiction resulted in a very hurtful move against their devoted readers, who felt rightfully deceived and betrayed by an empty promise and afraid of what the future stories on Love 365 might bring. The exclusive Love Choice mode will get rid of Voltage’s initial purpose to make the platform a P2P app only, perk that made Voltage stand out against the other parties. However, the constant indifference shown by the company who is clearly ignoring each email and public complaint without addressing the issue has managed to stir the pot even more, advertising Masquerade Kiss until its final release despite the negative comments. You can read the full post about what they initially promised on the official Tumblr account here. Novels that include the LC system have all the spicy CGs and best scenarios locked behind the freemium mode. If you usually spend $4 for a full novel to keep it stored in your library, with Love Choice you are going to spend $20 to say the least (people who went through it and unlocked everything for the Super Happy Ending had to spend exactly $22 in total), because in all honesty who doesn’t want to receive exclusive images and obtain the best ending anyway? While this may not be an issue for people who can easily afford it and don’t feel particularly bothered by the overall policy behind it, many other fans have desperately tried to suggest both Love Choice and Pay to Play to be implemented for Masquerade Kiss, in order to let them choose which one to pick according to their preference. The readers who specifically rejected the LC system are going to leave Masquerade Kiss untouched, which proves Voltage is most likely shooting itself in the foot instead of gaining from it. With a similar price you can buy fully voiced Otome games on Steam and PS Store, complete with all episodes and routes. Masquarade Kiss is way too pricey for what it has to offer at the moment. Edit 2/11: Someone reached out to me on Twitter to let me know you can actually unlock the SHE and Collector’s Edition with 60 hearts, which should be around $8 or so (again depending on your currency). While you still need to buy and use more hearts for all the special choices, you can at least unlock the best outcome without picking them all. Now now, what is the Collector’s Edition campaign? Can we actually keep the full story once it’s done?? Apparently yes, but hold your phone because all that glitters is not gold. 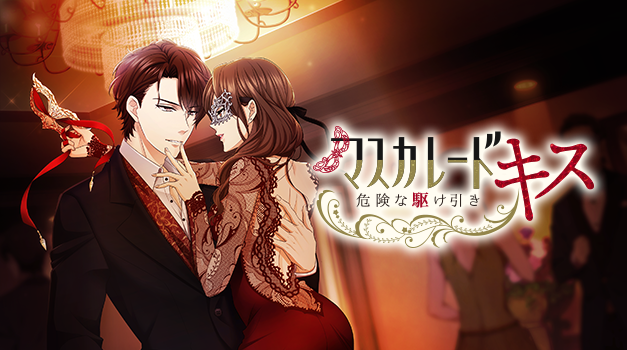 Only for a limited time (until 2/17 JST) you can read Masquarade Kiss without waiting and obtain the full story if you successfully unlock the Super Happy Ending during your first playthrough. Only the ones who managed to get it will be able to keep the currently released route (with the options they picked), should you decide to leave most choices out to save money, or miss the campaign for any reason, you will not receive the story you paid for. Edit 2/19: The campaign has been extended until 3/3 JST. Once the campaign is over, waiting times between chapters will be back on track and even purchasing every single Love Choice option will only leave you with the unlocked CGs and nothing more than that. There also seems to be another interesting contradiction with the male character’s POV story, available as a P2P option (200 coins) like any other novel on the app. What is the point in making the main routes Love Choice, if the special novels can be purchased with the same old system? A move to gain our trust back, perhaps? I’m sorry to say the hurricane is still quite lively over here, folks. The American app from Voltage USA, Lovestruck, is entirely based on the hearts system since it came out. You have 2 free tickets to use for 2 chapters and they take at least a couple hours to refill. Each special dialogue option needs around 27-30 hearts or more and once again you cannot keep nor play selected chapters without paying for new hearts (and tickets) each time. Update: Lovestruck recently introduced the chance to finally re-read the previous chapters even if you haven’t finished the full route yet. You still have to consume tickets for that, but your unlocked heart options will remain available without forcing you to pay a second time for them. Masquerade Kiss was already Love Choice before moving to Love 365. While it does make sense that they wanted to keep it the same way not to lose money from it, or just due to a technical policy, considering the original nature of the platform and the promises Voltage made in front of our initial worries they should have considered it from a different perspective. If they cannot make originally LC series into P2P purchases, I don’t see why it is so difficult to openly explain it. Other stories have a total of 12-15 chapters and MK has 25 parts or so per route. It would definitely cost double compared to the standard 400 coins under the P2P system, but it would allow readers to unlock everything at their own pace and preference. Applying Lovestruck’s format to Love 365 would only result in a huge loss despite the people still interested in freemium stories, clearly not as numerous as the P2P supporters. Although it isn’t confirmed that LC will effectively expand to other future series, that doesn’t stop us from thinking they may get the same treatment sooner or later. Voltage has already been in the eye of the storm due to the transfer-pocalypse. All the purchased novels from the standalone apps could be transferred to Love 365 during a given time frame and after the expiring date the standalone apps became completely unusable. The unlucky ones who failed to see the announcements or decided to open their apps again after a long time, ended up losing the stories they paid for. A few people have tried to contact Voltage in order to be guided through the recovering process, but I’ve seen a lot of reports from heartbroken players who failed to get back their library due to the lack of assistance. Considering the public impact this decision is having and how strong the intention to abandon the company appears to be from many disappointed readers, I can’t say the LC implementation is going to be as profitable as Voltage expects. 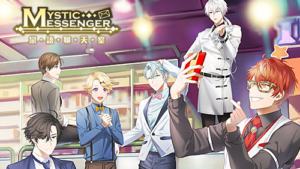 Masquerade Kiss is already doing quite well on the app, but is it really that worth it if it means you may lose a good portion of your international fanbase? I guess we can only wait and see. They made it quite clear there is absolutely no intention of answering for now. Want to play Android apps on your PC? Check out this post! Yes, indeed it seems like the new title is Love Choice based as well, at least regarding the main routes just like MK. Unfortunately, the Japanese app has a lot of LC titles and Love 365 has to follow the same format. We can’t tell if ALL the upcoming series will be Love Choice, but the Voltage devs already went against their initial promise about keeping the app exclusively P2P. We haven’t received any official word about the whole matter either and I doubt we ever will.